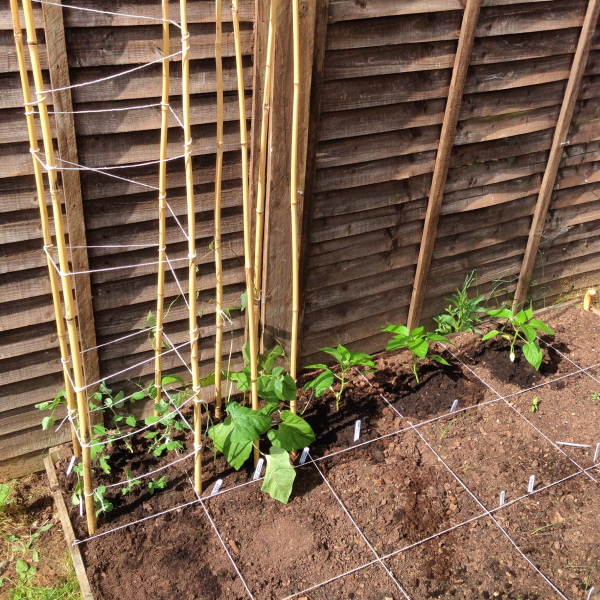 Runner beans are gigantic and flowering, it won’t be long till were eating runners with every meal! Cucumbers have not grown. At all. 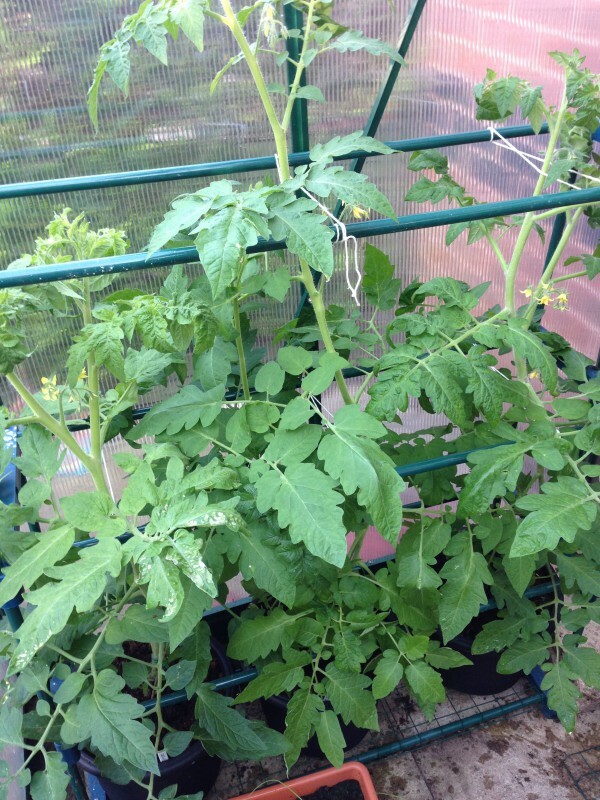 When I checked the greenhouse yesterday I discovered my first small green tomato! 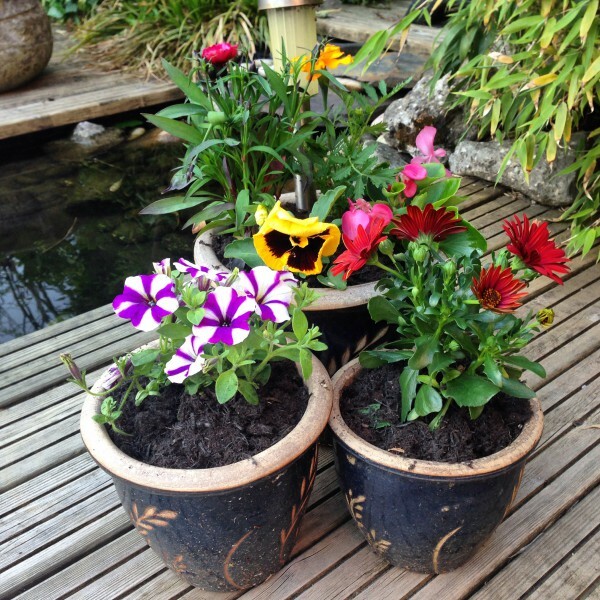 How is your garden getting along? 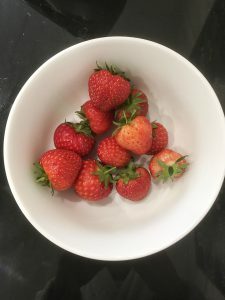 I spent some time this weekend potting up strawberries in my new planter, while doing so I came up my favourite 5 tips for growing strawberries that I wanted to share with you. 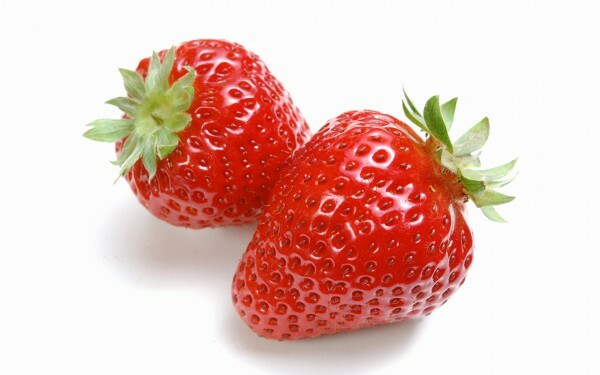 Its really important to ensure your strawberries get enough water to ensure as they need it to bulk up. If you think you’ve water enough, water a little more! 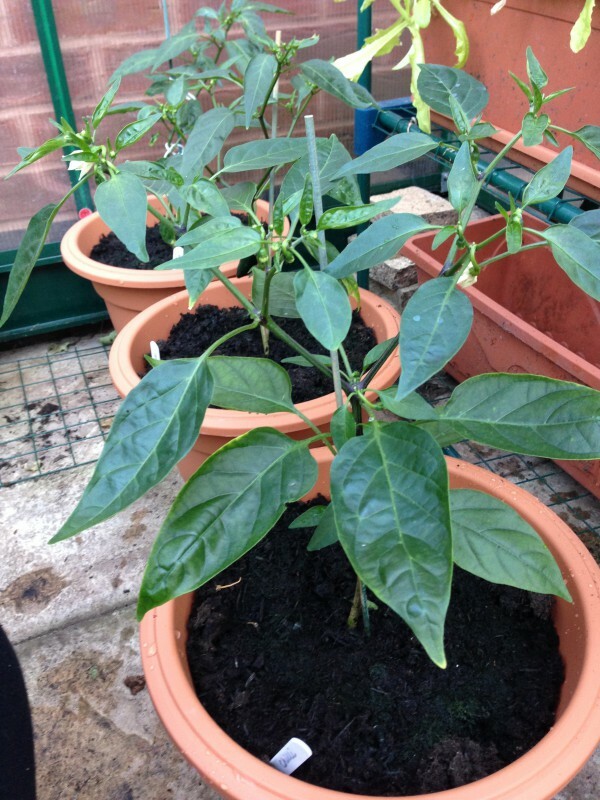 Water every day through dry spells and avoid the plant itself to ensure your fruit doesn’t rot. 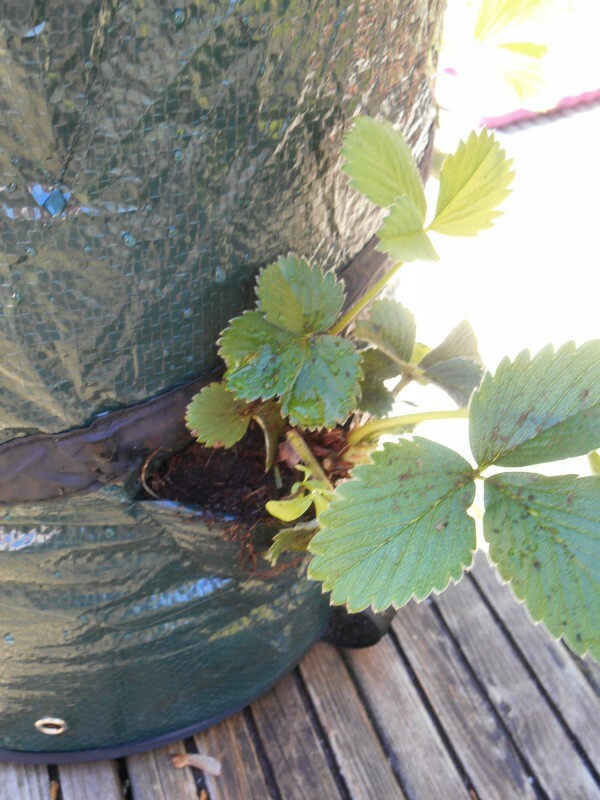 Strawberries are sun loving plants and need to be in a sunny spot to ensure the fruits ripen nicely. 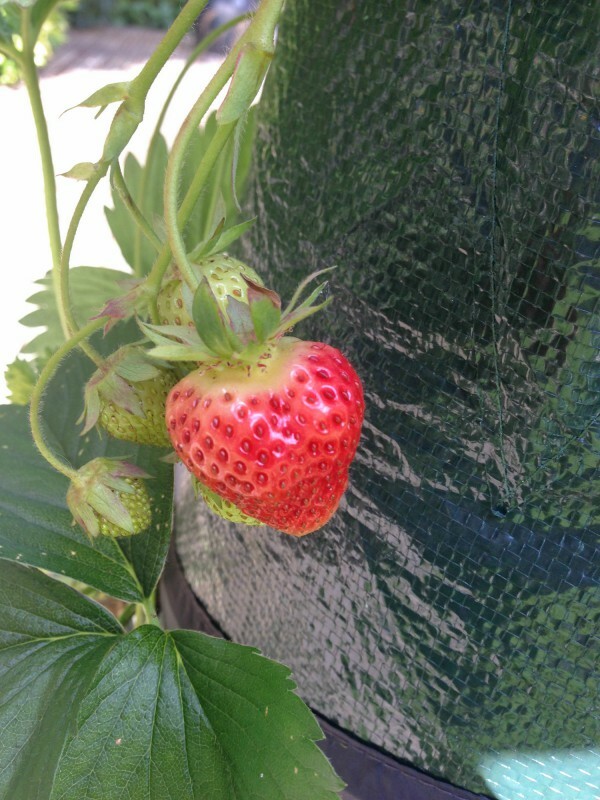 The birds love strawberries as much as we do so ensure you adequately protect your precious fruit. 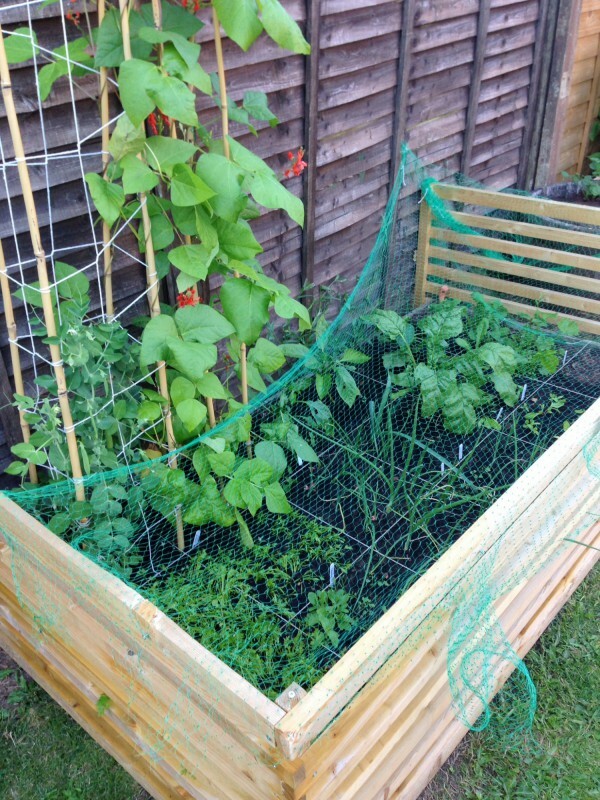 Most people use fruit cages or netting to cover the plants. At the height of the season strawberries will ripen fast therefore, regular picking ensures you get the best out of your strawberries. Ensure fruit is bright red all over before picking. 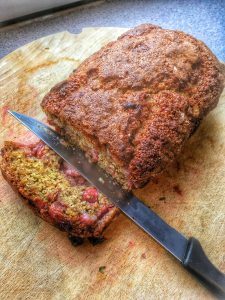 Strawberries are fantastic straight from the plant, I’ll also be posting some of my favourite strawberry recipes soon including Strawberry Muffins. 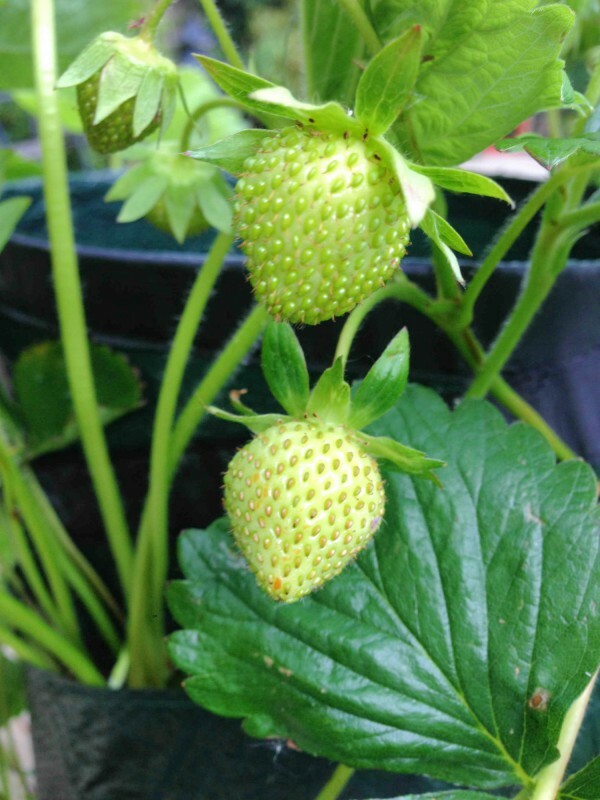 Ideally you’ll be replacing your strawberry plants every 3 years to ensure the best crops. 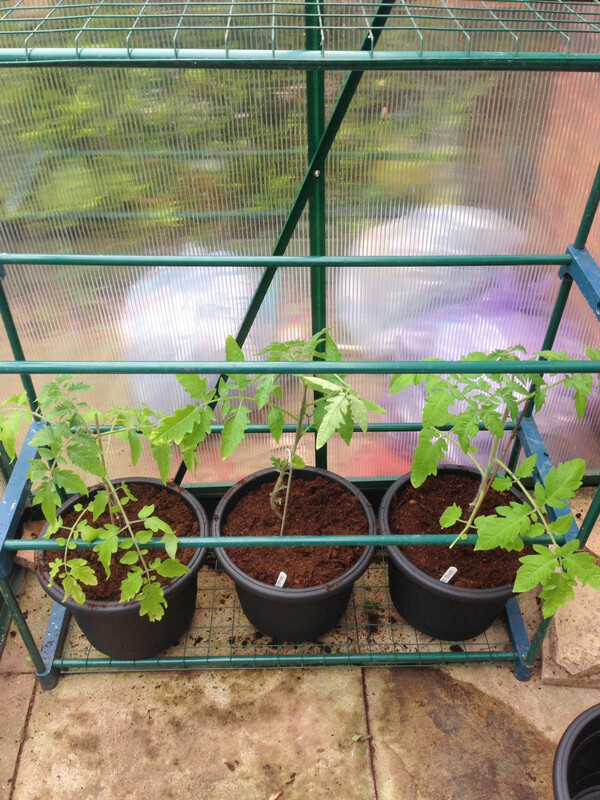 The easiest way to do this is pot on the ‘Runners’ that your existing plants create. Runners are the stems that your plants will send out over your patch or container. They will then root down and produce a new plant. 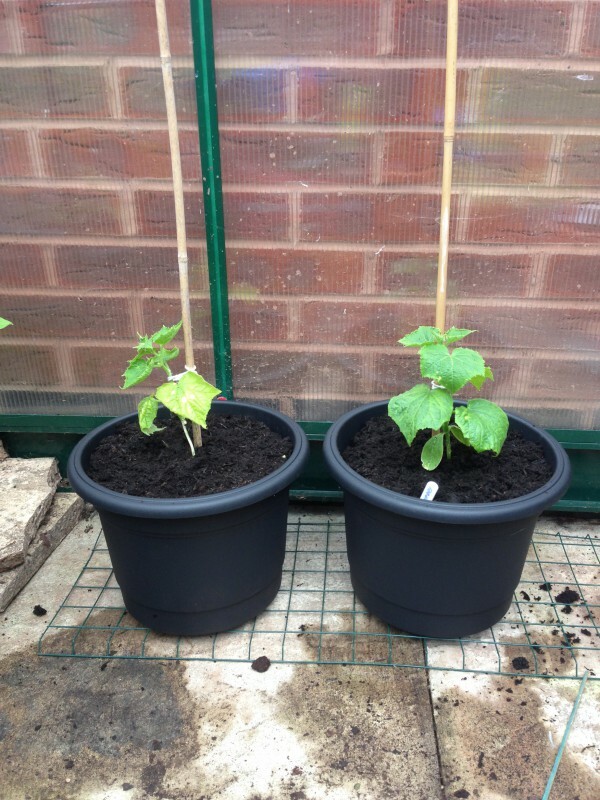 By potting on these runners you can pick the strongest and healthy plants to continue your crop with and best of all it’s free! 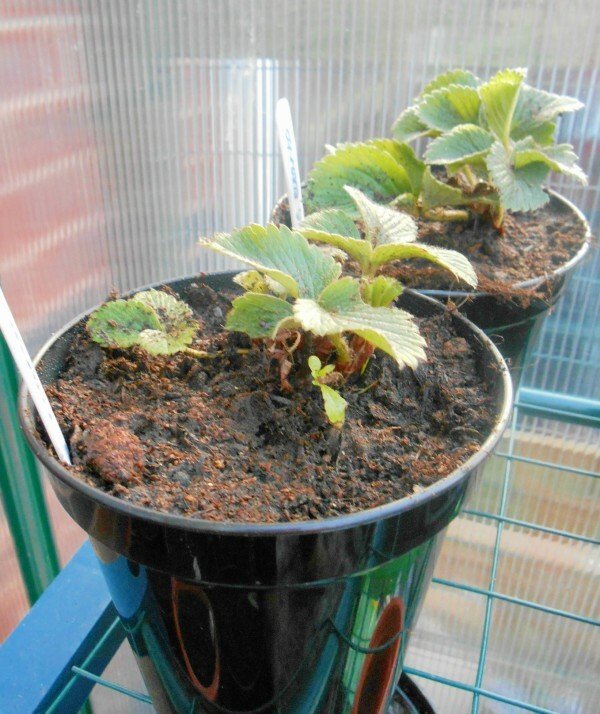 I’ve been struggling to decide what to do with my two clearance strawberry plants when I stumbled across a pop up strawberry planter I received the year before last. Result!  When I popped it open I was really impressed, it was a lot smaller and sturdier than I was expected. 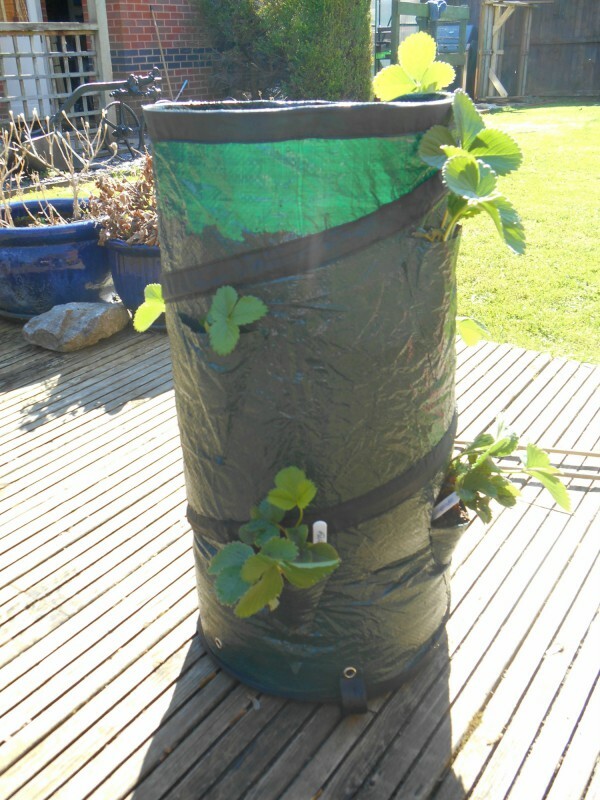 It holds up to 50 litres of compost and can hold up to 8 plants. If your interested in something like mine I found this one over on amazon, but I’m sure you’ll find tons if you search pop up strawberry planter. What are you favourite tips for growing strawberries?